Your Home Is In My Heart! With all the love and devotion, I just feel you..
With every drop, I just trust you..
With every faith, I just meet you..
With every feel, I just know you..
With every grace, I just love you.. The Grace The Master Is Always With You. You may wanna go away from Him But He will always be with you no matter what! You may not trust Him, He always trusts you. You may not feel Him, He always loves you. You may not want Him, He always cares for you. You may not believe Him, He always agrees to you. You may not hold Him, He always supports you. Just feel His presence in every atom of your survival of this world. No fear can dawn at you. No untrust can overcome your faith. No anger can take your peace. No suffering can have your happiness. Have trust on your Master. He will always take care of you. You need not worry. Everything is being taken care of!! 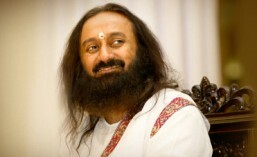 This entry was posted in Experiences with Sri Sri. Bookmark the permalink. ← They belong to me..